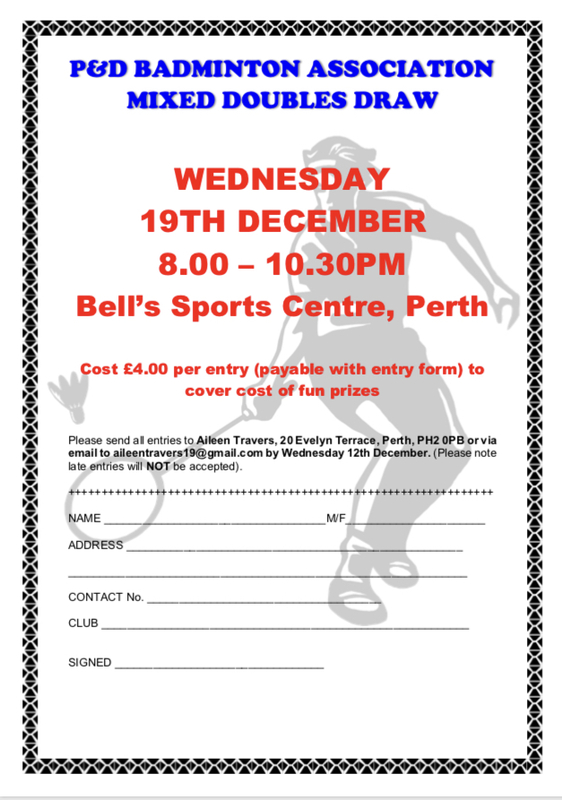 Our annual Mixed Doubles Draw takes place on Wednesday 19th December at Bells Sports Centre from 8-10.30pm. Entry form is below. Cost is £4 per entry. Closing date Wednesday 12th December. Contact Aileen Travers – aileentravers19@gmail.com or perthbadminton@icloud.com for more info. This event is open to anyone who enjoys playing badminton so come along and join in this fun, social event in the run-up to Christmas.